My name is Roger Aldhizer, and I am the General Sales Manager at Paul Obaugh Ford in Staunton, Virginia. I’d just like to take a minute to tell you about the experience I’ve had with Harrisonburg Radio Group. 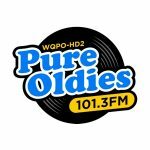 I’ve been working with Harrisonburg Radio Group and their group of stations for the last fifteen years, and if you even want to go back further than that, I’ve been listening to WSVA since I was 10 years old hoping and praying that school would be closed when it snowed. So my experience with this group of stations goes a long way back. But most importantly, I want to talk about the results I have found to be very successful when using this station group. Starting with WSVA, which is one of the flagship stations of Harrisonburg Radio Group. WSVA is one of those stations that has worked very well for our demographic. 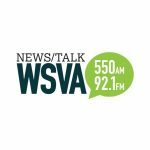 Certainly, it is the go-to station for news in the Valley and always has been, and I can guarantee you no matter the demographic or the age group, they have listened to WSVA at one time or another. 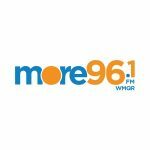 But certainly the creativity that Harrisonburg Radio Group brings with their team, they’ve been able to help Paul Obaugh Ford have great success with new ideas on how to talk to our customers. 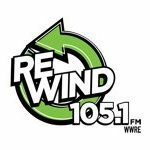 Certainly branding is very important in any advertising campaign, and the one thing that Harrisonburg Radio Group has helped us with is keeping a consistent branding message across all stations. One of the most successful stations, as well, has been WSIG. Being in the car business for the last 25 years, I did my first commercial in 1992. I’ve done this for a while, but when appraising a used car, this first things I do is I get to the radio station and look at the pre-set dials. What do people pre-set their radio stations to in the car? Well, I can tell you without exception that 96.9 WSIG is always 100% of the time one of the top three stations. 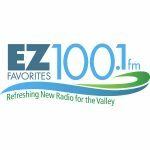 If it’s a younger demographic, another flagship station with Harrisonburg Radio group is 100.7, Q101. 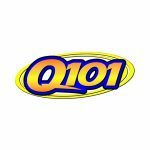 I can remember listening to Q101 as a teenager going to Fort Defiance High School. Again, it’s another station that’s been in the Valley and branded in the market for a long time. If you get in a young person’s car, you can almost be guaranteed 100.7 (Q101) is either the top or the second station pre-set to their car, and that says about the station group. As far as being able to meet deadlines as an advertiser, and certainly being in the car business, we really come up with ideas at the last minute, and I can’t tell you how many times I’ve called Harrisonburg Radio Group and said, “I need this Yesterday,” and they are always willing to accommodate hard deadlines, and I can’t think of one time when they didn’t get it done and they didn’t do it with a smile. So if you are even considering using Harrisonburg Radio Group, I don’t think you can go wrong. 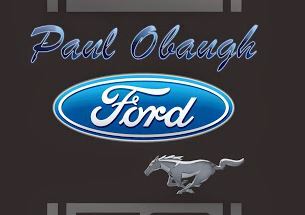 It’s certainly been a great experience for me personally and it’s been a great experience with great results at Paul Obaugh Ford.